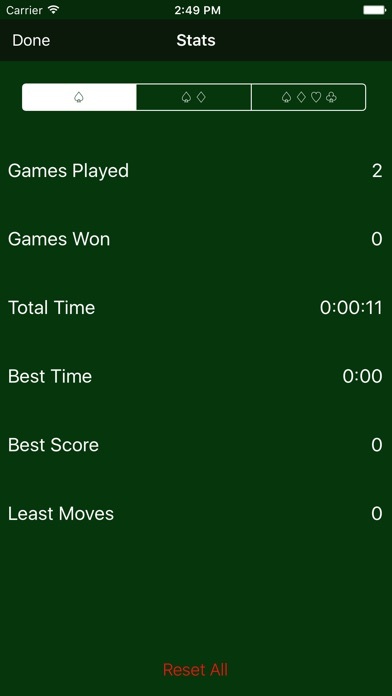 Spider Solitaire Looking for a more challenging Solitaire game? 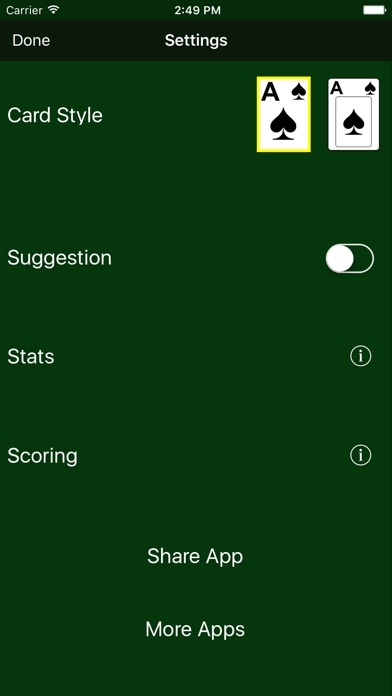 This is the app for you! 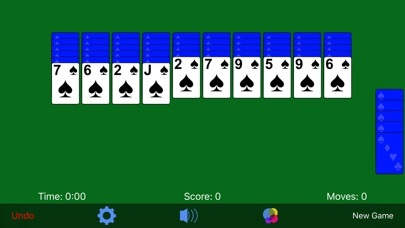 The crisp, clear graphics of Spider Solitaire will have you playing for hours on end. 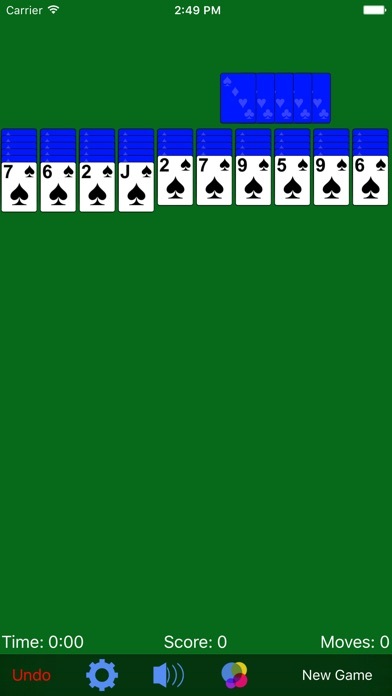 Spider Solitaire is played with 2 decks with all cards of the same suit (at the basic level). The goal of the game is to assemble stacks of cards from King down to Ace and remove them from the Tableau. When no more moves are available, one more card is played face-up on each of the 10 Tableau stacks. Spider Solitaire is a simple game when played with one suit; try two or four suits for a challenge! 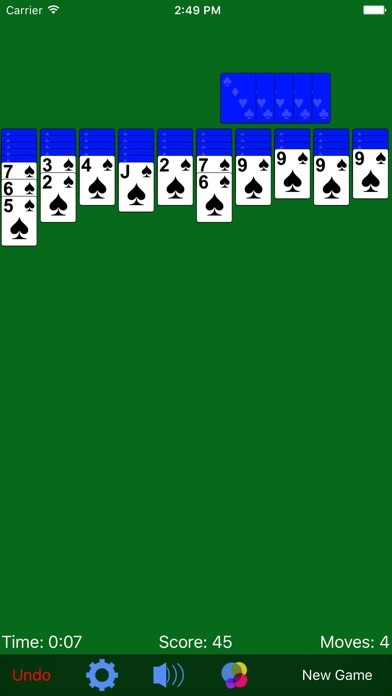 Popular features of Spider Solitaire include: • Game leaderboards and achievements • Three levels of difficulty including: 1 Suit, 2 Suits, and 4 Suits • Suggestions feature offers helpful hints • Turn on/off time, score and moves • Sound that can be turned on/off • Single tap or drag and drop to move a card • Unlimited free games • Undo feature • Personal Stats • And so much more! See what some of our many users have to say about this popular Spider Solitaire game: • “Love it more every time I play.” • “I can’t stop playing, I’m totally addicted!” • “Good game to unwind with.” • “Good to relax with when stressed.” • “Fun and easy to use.” • “Great game. Love it!” If you like this app, be sure to check out the rest of our Solitaire games: • Solitaire • FreeCell • Pyramid Solitaire Use of this application is governed by the Zynga Terms of Service (http://m.zynga.com/legal/terms-of-service).